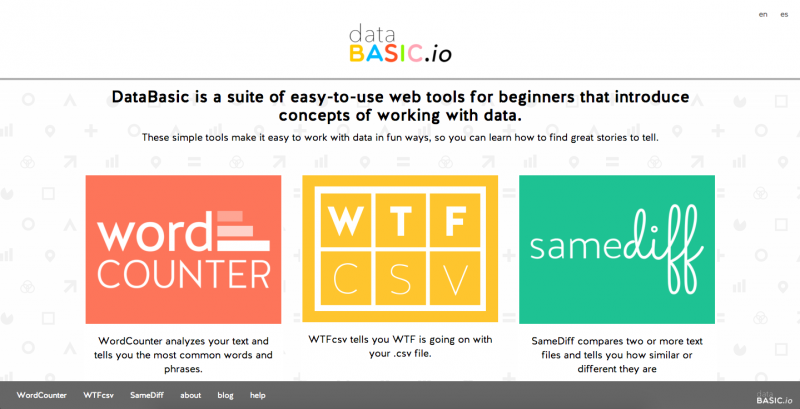 DataBasic is a suite of four focused and simple tools and activities for journalists, artists, policy-makers, community advocacy groups and non-profit staff. Rahul Bhargava and I received funding from the Knight Foundation to build and test DataBasic. Connect the Dots: Introduces the basics of network analysis for analyzing social media or any data that consists of nodes (things) and edges (relationships between things). We provide an introductory video and simple training activities for each tool as a way to scaffold learning about data analysis at the same time as doing it. 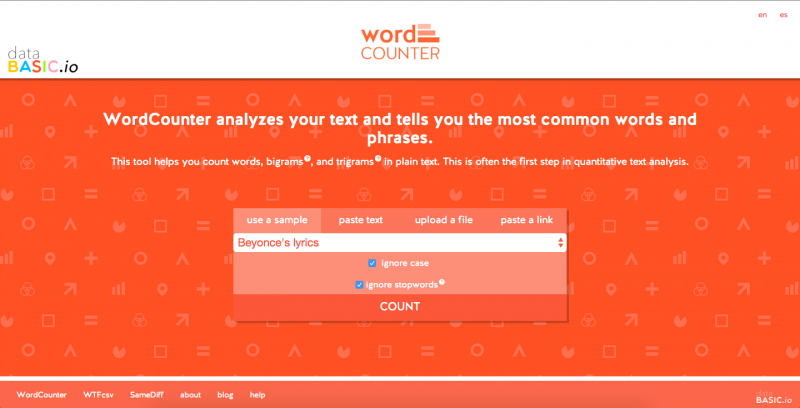 These activities include fun datasets like UFO sightings and music lyrics to start off with, and introduce vocabulary terms and the algorithms at work behind the scenes. We strongly believe in building tools for learners, and will be putting those ideas into practice on these tools and activities. DataBasic comes in English, Portuguese and Spanish. It’s free and open source – http://databasic.io.